Very nice photo of the Oval Office the other day, courtesy of Time’s WH blog. LibriVox, the free audio book site supported by volunteers, is looking for readers for a couple of presidential projects: A Short Life of Abraham Lincoln by John Nicolay and Theodore Roosevelt: An Autobiography by, one supposes, Theodore Roosevelt. Consider volunteering for a couple of chapters or take note of them to listen to later when they’re finished. Pope Benedict visited the White House today. It is his birthday, no less. I hope the president bought him Prada…..
Ndkott (and JFK) wonders about the nature of the designs around the grand staircase. I think they are emblems of each of the original 13 states, but I’m not sure. Any better answers? 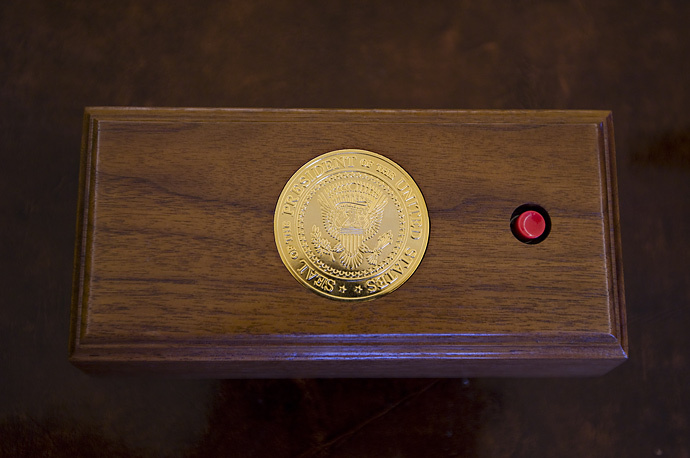 Time has graciously served up a nice photo of the president’s call button, under discussion here recently. Thanks Brooks Kraft! 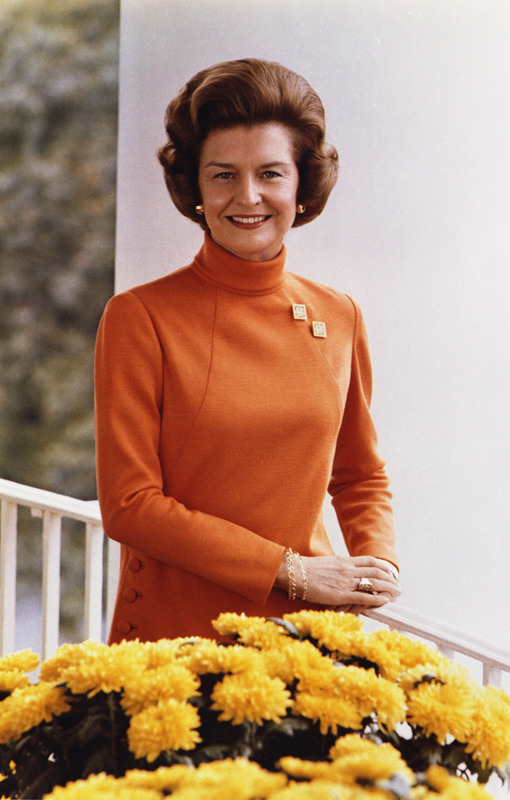 Today, Betty Ford turns 90 years old. Best wishes to her and her family. President Eisenhower sits quietly and comfortably in his easy chair in the Family Theater, where he spent so many hours watching western after western. No foolin’.